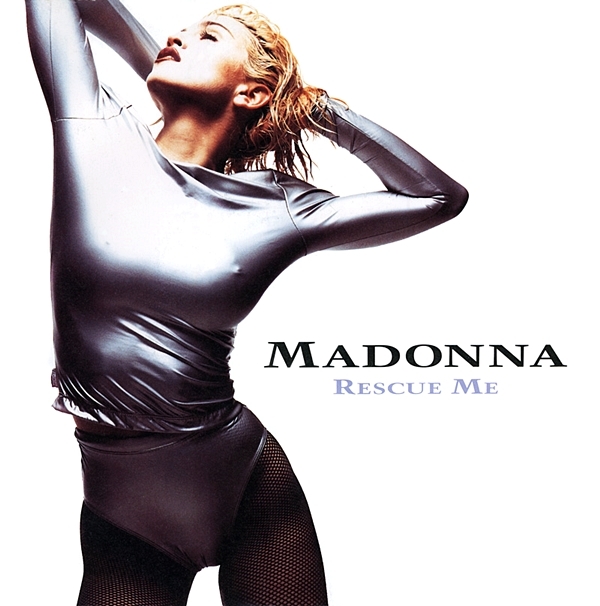 On April 20 1991, Rescue Me peaked at #3 on the UK Singles Chart after making its debut at #4 the previous week. It slid to #5 in its third week before falling out of the Top 10. 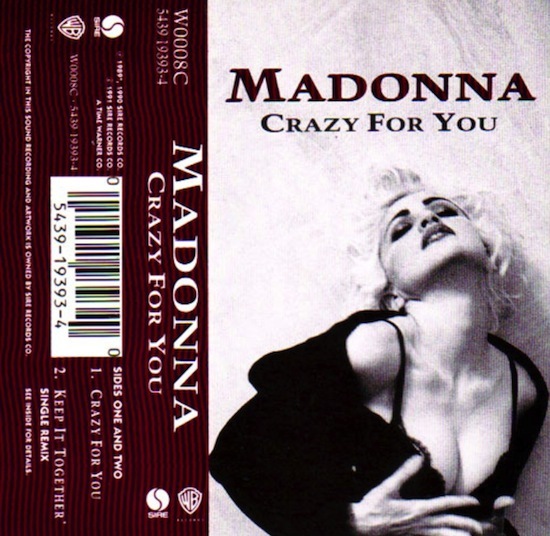 Rescue Me was the third single release from The Immaculate Collection in the UK, where it was issued in between re-releases of Crazy For You and Holiday. 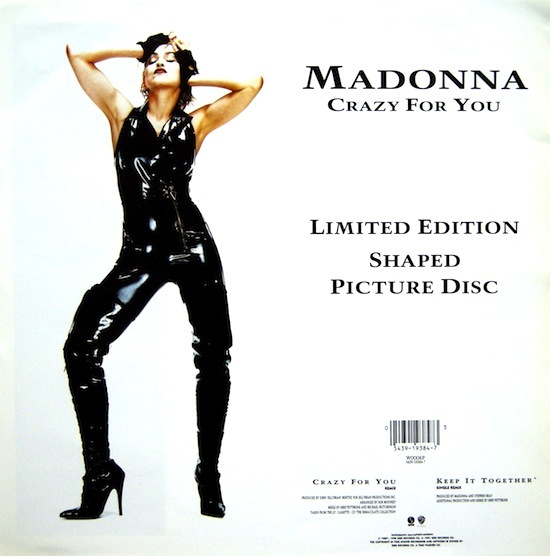 Because the photo on international pressings of Rescue Me had already graced the cover of the Crazy For You reissue, Warner UK chose to market the single using an alternate shot taken from Jean-Baptiste Mondino’s June 1990 spread in Harper’s Bazaar. 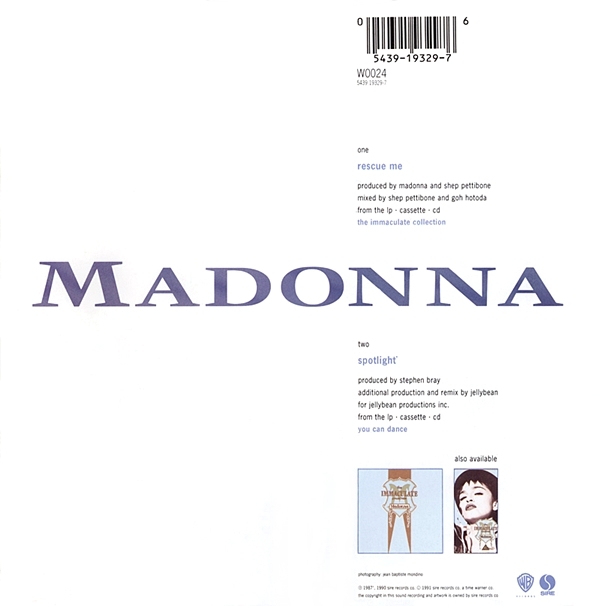 Ironically, the international Rescue Me cover photo was snapped on the set of the Mondino-directed music video for Justify My Love, although not by Mondino himself. 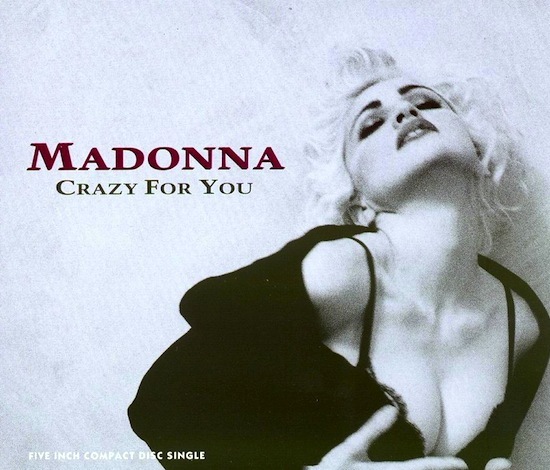 It was instead photographed by another (future) Madonna music video director, Stephane Sednaoui.